All our magazines come with fantastic gifts, however Papercraft Essentials 170 (on sale on February 7th) has really outdone themselves. This issue’s 3-in 1 stunning gift includes a Butterfly Rose cut-and-emboss folder, stamps, AND a 16 page paper pack! Pretty much everything you need to create versatile cards for birthdays and more. 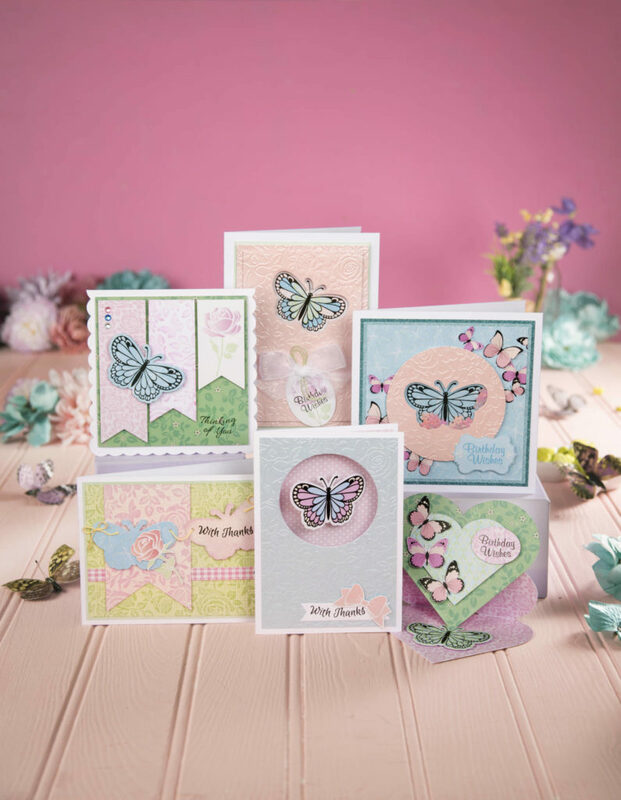 The Butterfly Rose cut-and-emboss folder is 5×7” and comes with 4 stamps which include sentiments such as “Birthday Wishes” and “Thinking of you”. The rose embossed pattern creates a stunning texture for your cards and a butterfly aperture simultaneously! And the butterfly stamp coordinates with the butterfly die centre which opens up the possibility of creating some unique and beautiful aperture cards. Imagine a shaker card with a butterfly stamped on the background! Papercraft Essentials 170 also comes with a 16-page paper pack which includes dreamy patterned paper, plus tags, toppers, and spring-time design elements. Plus there’s heaps of inspiration from the design team on how to use your gift. You’ll have no shortage of inspiration. What an incredible issue, right? But there’s more! 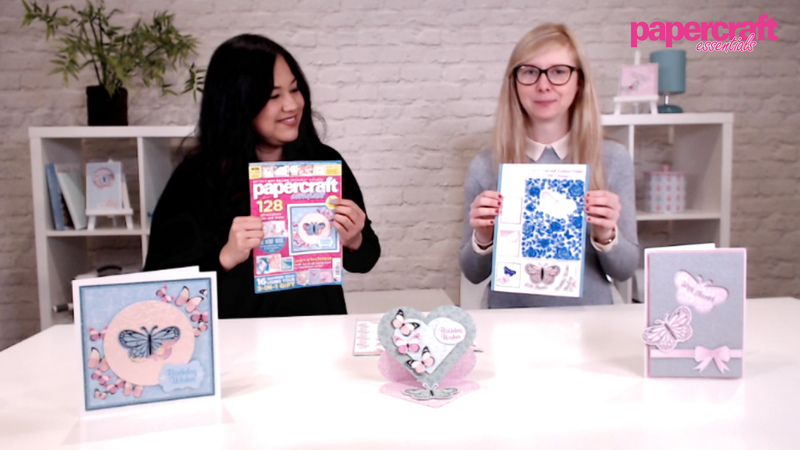 Brand-new releases from Paper Nest Dolls, Hobby Art, Hunkydory, DoCrafts, and more..
Also don’t miss this bonus video for how to create colourful inky & embossed backgrounds!